The pace of retail insolvencies in 2013 so far is on track to make the full year ‘even worse’ than 2012, according to figures from the Centre for Retail Research. In the eight months to the end of August, the centre’s ‘Who’s Gone Bust?’ report tracked 39 company failures in the retail sector, affecting 2,153 stores and 21,615 employees – equivalent to roughly 59 failures, 3,230 stores and 32,420 employees if the same rate continues through until the end of December. This compares with 54 company failures in 2012; however, with several large brands among them, a total of 3,951 stores and 48,142 employees were affected last year, making it a more significant 12 months in terms of total scale of impact. Neither year can come close to the scale of the retail sector collapse in 2008; the first year of major economic turbulence in the current cycle, when the same number of companies (54) went bust, yet a massive 5,793 stores and 74,539 employees were affected. Steering clear of insolvency in the retail sector can be challenging, as in many cases you are relying on customers coming through your door on any given day to maintain your cash flow – rather than on long-term contracts that give you a reliable source of income. Offering goods on credit is one way around this, as you can then anticipate monthly repayments and potentially earn more money in the form of interest; however, you need the capital to pay for the stock in the first place, and run the risk of non-payment by customers who face financial difficulty themselves. In many cases, debt recovery services can help you to reclaim funds owed to you by customers who are refusing to pay, while processes like redundancy can allow you to restructure your business for greater profitability, without facing accusations of wrongful dismissal. An intriguing point made in the Centre for Retail Research’s report is that, in some cases, it appears businesses are deliberately acquiring competitors with substantial debts, in order to record those losses and offset them against any taxes owed. One example of this is Comet, whose collapse cost HMRC around £50 million and led to 6,000 people losing their jobs, but is now believed to be in the process of being bought as a way to offset £27 million of taxes. 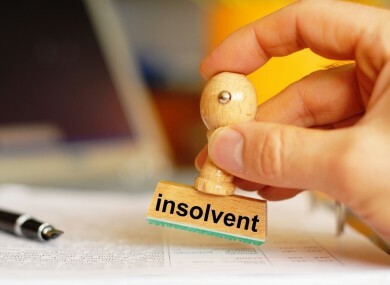 The practice may sound unethical – particularly when jobs are at stake – but it highlights how retail insolvencies have a significant role to play, not only in restructuring the high street as household names vanish from it, but also in restructuring the finances of healthy competitors. Capital Law are the only solicitors Cardiff companies should need, with a range of services spanning employment law and commercial property, through to intellectual property, media law and regulatory law. Working with a commitment to value-added services, Capital Law aim to be approachable and to excel in all aspects of their operations. Next post: Can I make a professional negligence claim against my financial advisor?